This section covers links to other web sites that provide useful information on Internet, IT security and data security, certificate suppliers and security standard setting organizations. Australian Information Security - network security analysis, content sweeping and firewalls. All-Internet-Security - a very useful directory of Internet Security resources. CERT - center of Internet security expertise. Dutch Security Information Network (DSINET) - a Dutch view upon the networking and security world. Provides information, files, tools, news items, columns, opinions and an editorial view upon the genre in general. HIPAA Links Directory - a comprehensive site that provides information an links on everything to do with the HIPAA. InfoSysSec - a comprehensive computer and network security resource for Information Security Professionals. ITtoolbox Security - content, community, and service for Security professionals. Providing technical discussion, job postings, an integrated directory, information security news, and much more. IT Security - the encyclopedia of computer security. Provides news, papers, glossary, tutorials. LockLizard protects your IPR from unauthorized copying and distribution. Control how long someone has access to your content and what they can do with it (print, copy, share, modify, etc.). Simply, securely, and cost effectively distribute and manage your digital content using encryption and Digital Rights Management (DRM). Keep total control over your PDF documents and software applications whether they are published on the Internet, CD, DVD, etc. or sent by email. New Order - the resource for people to help avoid being hacked, security and exploiting related files and links. PacketDefense - information security forums, news, advisories and tools. Topics include crypto, computer forensics, IDS, firewalls, biometrics and management practices. PKI Forum - another useful site for PKI resources. SafestWare - quality and tested online privacy protection, security solutions, software and resources to protect you from new Internet threats. 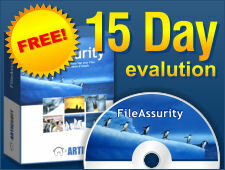 Security solutions includes anti spyware, the best antivirus protection and free firewalls. Secure Computing - everything you want to know about security in THE magazine for information security. SecurityNews.cc - online vulnerability assessment & free downloads. Protect yourself from Computer Hackers and Viruses. See your Internet access as a hacker would see it ... before it's too late! Software Security Solutions - provides tools and information to make securing your computer easy and effective. Tech Tutorials - free tutorials addressing a wide range of computer topics including security. Windows Security - Windows security site which provides security news, articles, tutorials, software listings and reviews for information security professionals covering topics such as firewalls, intrusion detection and other security topics. Companies from whom you can purchase certificates for use with our products. Please note that this is only a short list - you can purchase certificates from any Certificate Authority (CA).